Mark started stone carving when he was still quite young; helping his dad in the family stone work business from the age of 11, building and installing marble fireplaces all over Ireland. He's traveled further afield though, going on to London for seven years, and then moving to the USA for another seven. 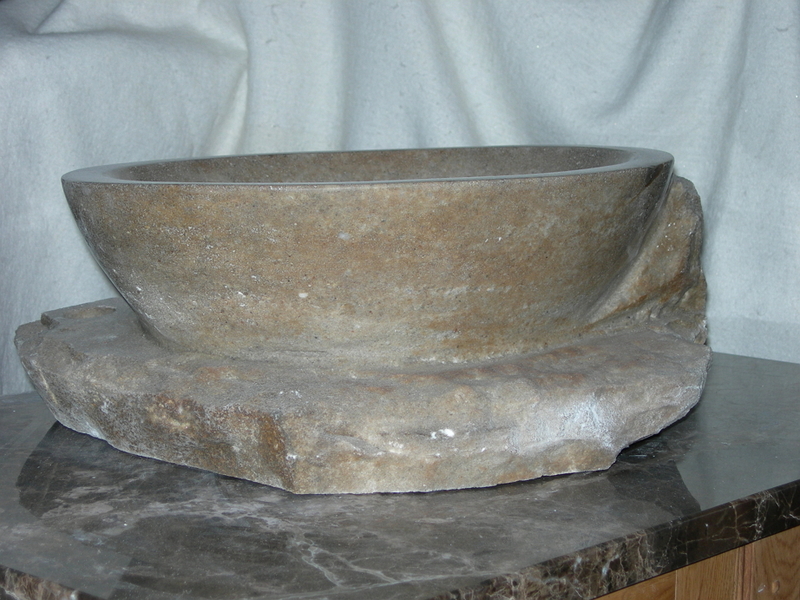 When he was based in Connecticut, working with granite and marble installations for the discerning customer, he had some impressive clients - the likes of Paul Newman, Phylicia Rashad, Phil Donahue and Eddie Murphy all have stone craft items and features in their homes created by Mark Feeley of Irish Stone Design. He came home to Co. Roscommon, Ireland, in 2001, and started the business of design, manufacture, carving and installation of natural stone tiles, counter-tops, work surfaces, sills, shop fronts, vanity units, architectural features, garden art, and smaller carved sculptures such as name plaques and signage. 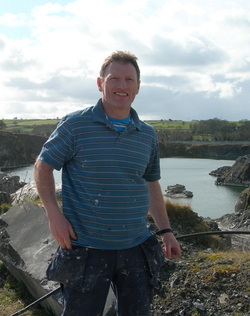 Mark is committed to utilising Roscommon resources wherever possible, and has formed an excellent working relationship with local suppliers, who provide the Irish Limestone, granite, soapstone and natural marble which he incorporates into his sculptures, stone tile, granite countertops, and other stone craft. Mark's skill, knowledge, and connection to his natural stone materials are obvious in every piece he works with, but it's genealogy ancestry and family surnames that really inspire him. He knows, from travelling the world himself and spending so much time away from family, how important your family history and family tree are to your sense of self. He communicates this vital connection through his stone craft, creating unique limestone tiles carved with family crests, surnames, and your family coat of arms.